NASA knew that there would likely be changes in Scott Kelly's DNA, but they had no idea how extensive, or long-lasting they would be. 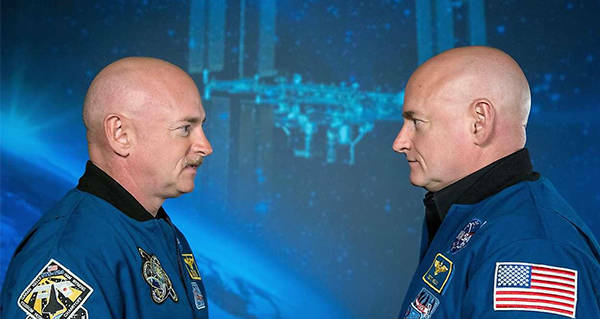 NewsweekScott Kelly (right) and his no longer identical twin brother Mark (left). 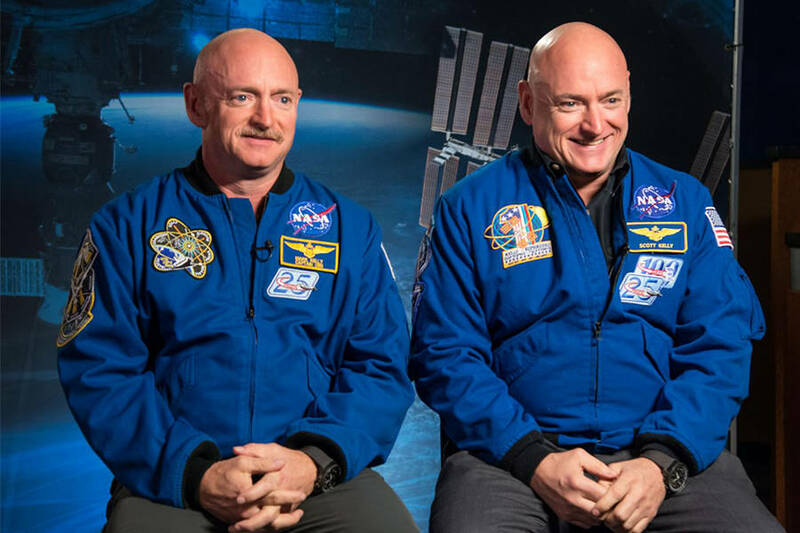 NASA has confirmed that, after spending a year on the International Space Station, astronaut Scott Kelly’s DNA no longer matches that of his identical twin, Mark Kelly. The Kelly twins have been participating in a “Twin Study” for NASA for the past several years, beginning in 2014. From March 2015 to March 2016, Scott lived in space, while his genetically identical twin Mark stayed on Earth. During the year, the twins were monitored closely by NASA scientists, who took note of each man’s vitals, taking samples of their hair, bodily fluids, skin cells, and more. Before Scott returned, NASA knew that space travel could change a person, but wasn’t clear as to what extent the changes would take place, or if they were temporary or permanent. Upon Scott’s return to Earth, the results were studied closely and showed that Scott’s DNA had indeed been altered by his year of extraterrestrial living. Most of the changes, such as lengthened telomeres (chromosomal endcaps), returned to their normal state after six months. However, NASA has revealed that seven percent of Scott’s DNA has not returned to normal, even after a year of being earthbound. Of course, the change is likely not permanent. Though the exact effects of this genome alteration have not been concluded, it has been theorized that they could indicate long-term changes in genes related to his immune system, DNA repair, bone formation networks, oxygen deprivation, and elevated carbon dioxide levels. In addition to his altered DNA, NASA reported that there were other differences between Scott and Mark as well. Changes in Scott’s collagen, blood clotting, and bone formation were reported, attributed most likely to fluid shifts and a zero-gravity environment. There were also changes on a cellular level. There was a decrease in tissue oxygenation, known as hypoxia, and a blood test revealed that there were increased mitochondria in Scott’s blood cells, suggesting mitochondrial damage during space travel. The results of the Kelly twin’s study will help NASA prepare for their planned three-year mission to Mars. By studying the effects of Scott’s single year in space, scientists hope to be able to predict the changes that will occur after three years, the amount of time a manned mission to Mars would take. Next, check out these photos of what NASA envisioned space colonies looking like in the future. Then, read about Voyager 1, which has officially spent 40 years in space, and is super far away.